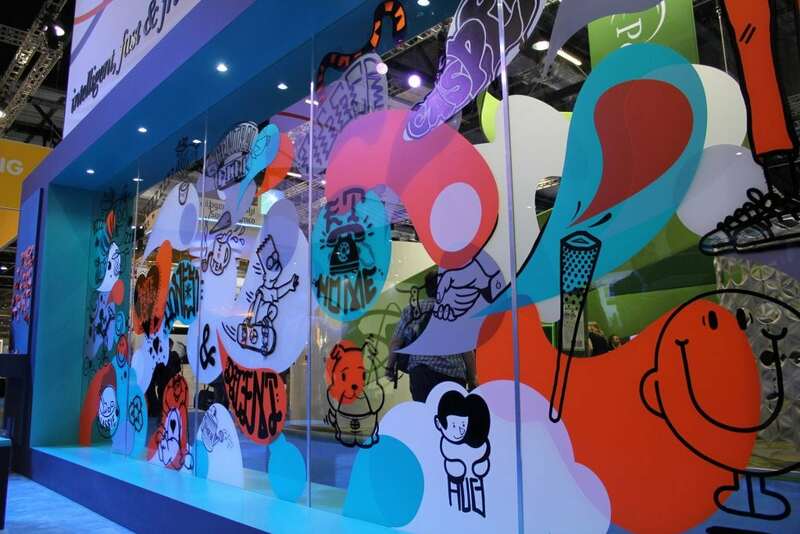 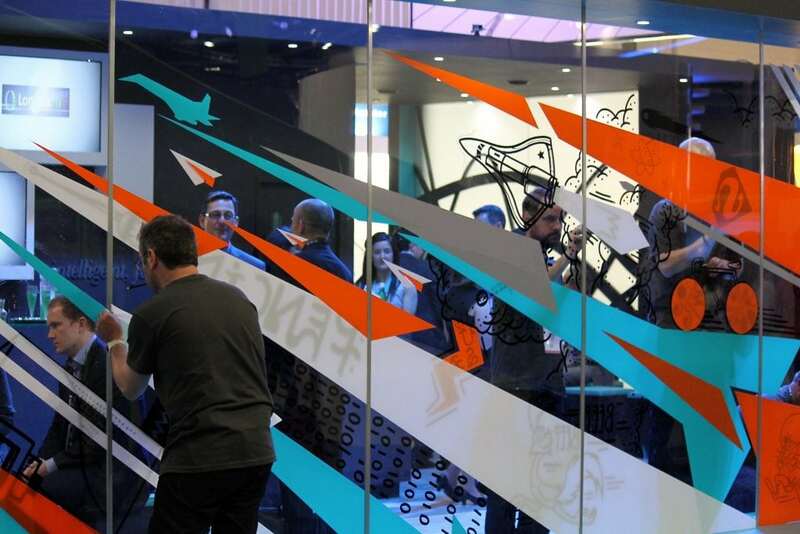 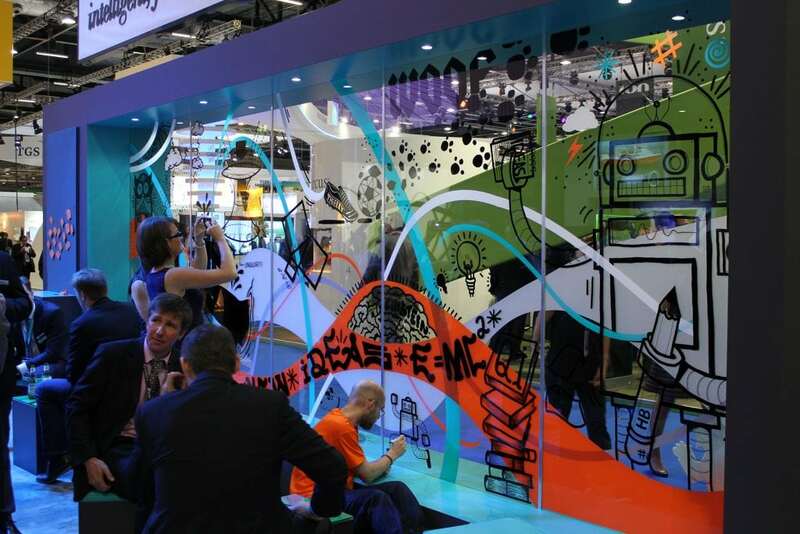 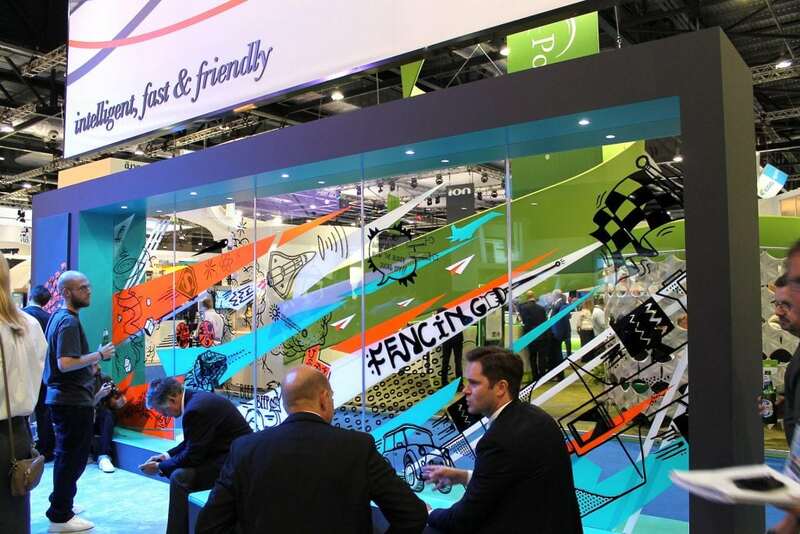 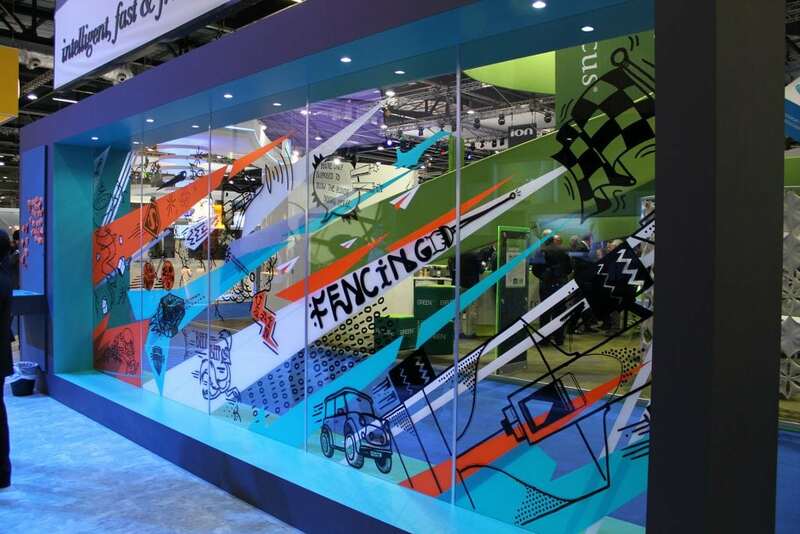 Neos Creative approached us to come up with a unique way to convey the brand values for their client Dolphin Geophysical on their Excel exhibition stand. 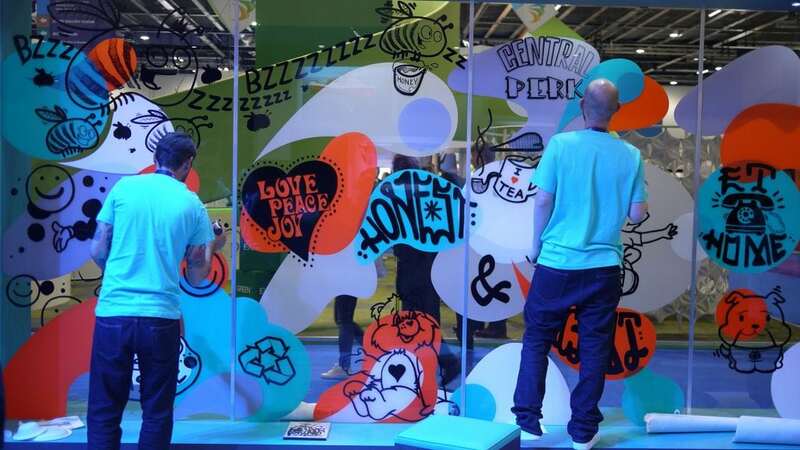 We proposed using live art to bring their core values to life, whilst also engaging clients and other visitors with the brand. During the three days of live art creation, we worked with Dolphin’s clients and prospects who made suggestions of objects, words and other things associated with their core values ‘intelligent’, ‘fast’ and ‘friendly’. 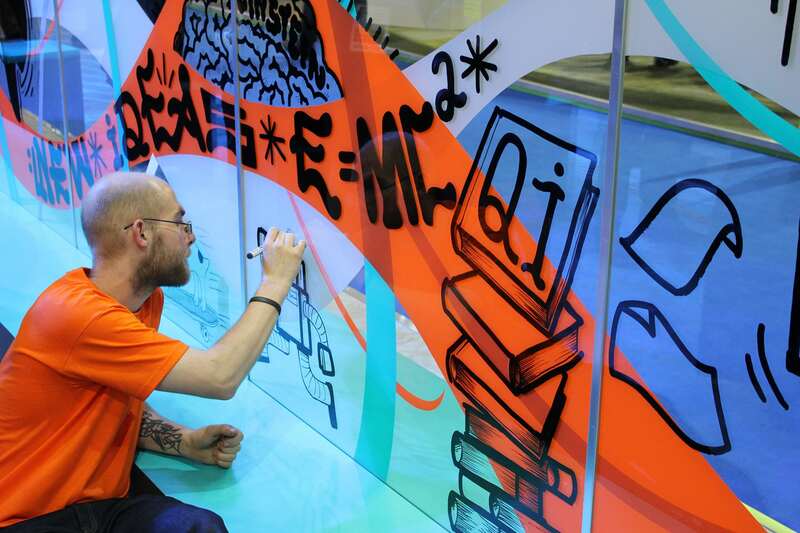 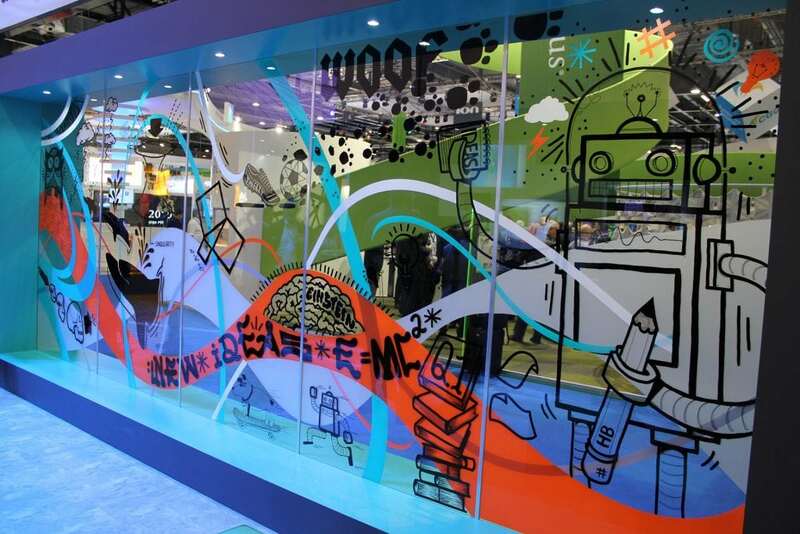 Working with a different word each day, we layered the clear acrylic wall with branded coloured vinyl before we created our own inventive take on the suggestions supplied with black marker pens. 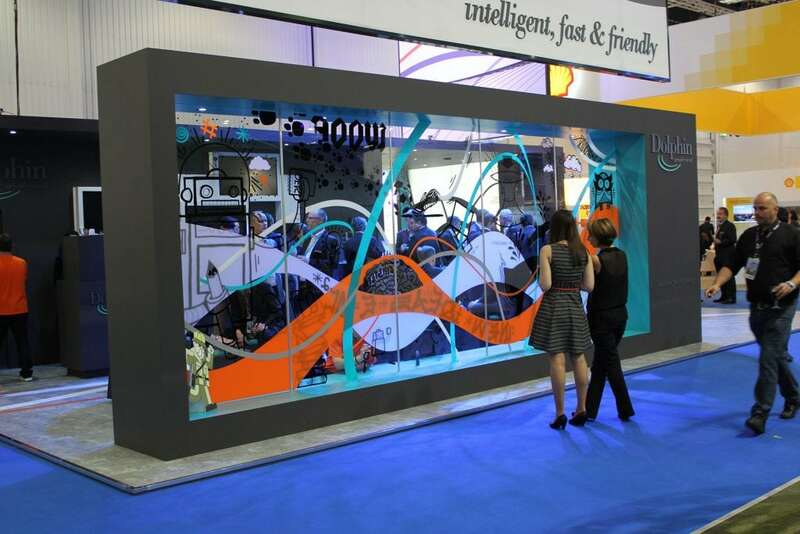 At the end of each day, the wall was taken down and cut up and distributed to Dolphin’s clients and guests as a souvenir of the event.